We are proud to be one of a few UK companies supplying American Doctoral Regalia. 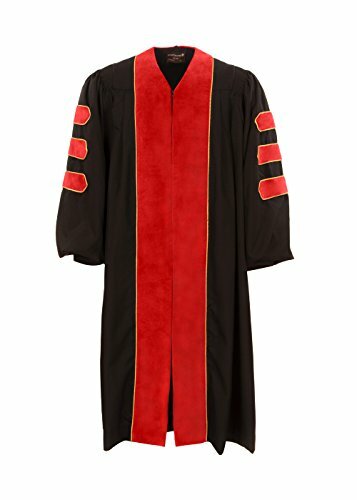 Our deluxe American Doctoral Gowns are of high quality and feature a fully pleated and padded yoke, with fluting around the shoulders and gold piping. In addition, they also encompass all the traditional American features such as velvet facings, adjustable velvet lantern sleeves and a braided rope and button on the back.